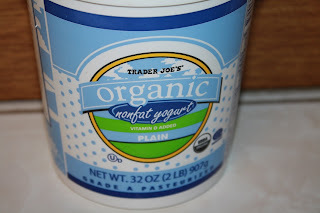 A Little Time and a Keyboard: Trader Joe's Organic Plain Nonfat Yogurt---Yum! 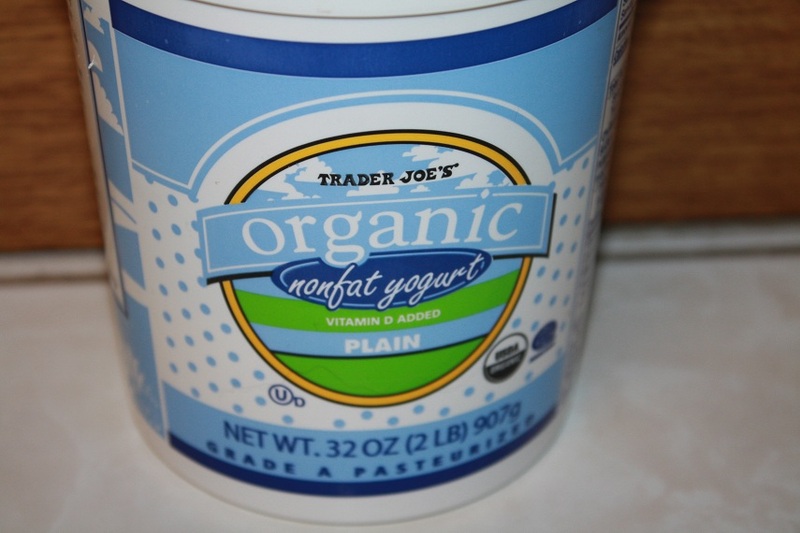 Trader Joe's Organic Plain Nonfat Yogurt---Yum! More times than not, when someone hears that I eat plain yogurt, they ask what kind. 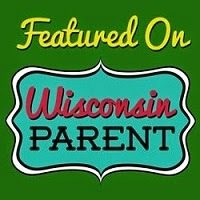 After months of trial and error, I settled on Trader Joe's Organic Nonfat Plain Yogurt. The plain yogurt world can be frustrating to navigate because so many of the plain yogurts have a strong taste. However, I have found that my preferred yogurt has a very light taste and is surprisingly creamy. In fact, it naturally tastes a little sweeter than other plain yogurts I have tried. 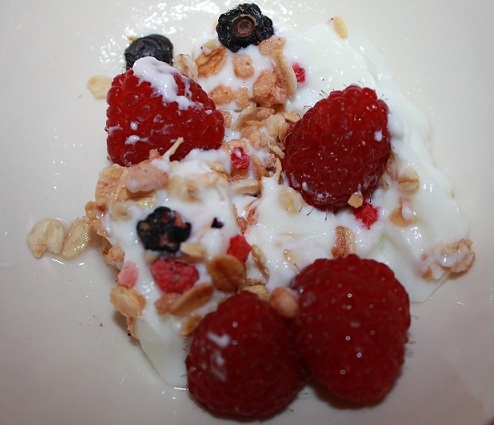 I love to eat my yogurt with some fresh raspberries and a little granola. I prefer a mixed berry granola that has freeze dried blueberries, strawberries, and raspberries in it. This mix definitely beats eating one of those fruit yogurt cups with random, unknown ingredients. Plus, you really get to up the fruit content, therefore getting more nutrients! I love this mix as a morning snack!